As alternative medicine becomes more and more popular, many people are turning to chiropractic care as a way to avoid medication, injuries and illness. There are many celebrities who turn to their chiropractors for pain management and for leading a healthier life. From famous sports athletes to Hollywood movie actors, many celebrities find benefit from routine chiropractic care. David Duchovney, Michael Jordan, and Demi Moore are just a few of the famous names you might recognize who are regular patients of chiropractic. Please read on to find out why so many celebrities turn to their chiropractor adjustments for routine care. We know that sometimes patients are hesitant about seeing a chiropractor, but you can see the benefits many celebrities have found in using chiropractic care over the years. Caron Chiropractic Clinic, P.A. is ready to work with you to achieve the benefits you have just read about. 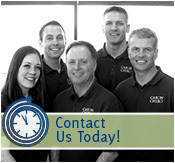 Give us a call today at (651) 255-9999 to set up an appointment! This entry was posted	on Wednesday, August 12th, 2015 at 6:23 pm	and is filed under Chiropractic Treatments, Chiropractor. You can follow any responses to this entry through the RSS 2.0 feed. You can leave a response, or trackback from your own site.